Angry Birds, for the uninitiated, is an addictive game developed by Rovio that has been downloaded more than 500 million times across the world. 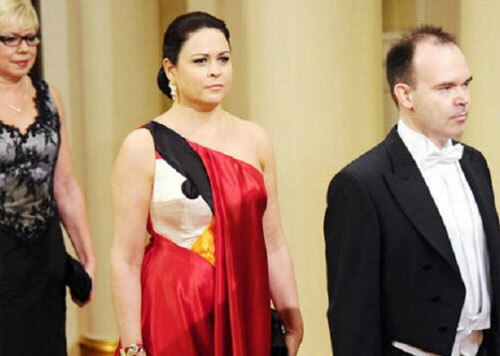 In the name of quick and dirty PR, Teija Vesterbacka (the wife of chief marketing officer, Peter Vesterbacka, who is apparently seldom seen not wearing an Angry Birds sweatshirt) turned up at the Finnish Presidential Palace to celebrate the country’s independence, wearing this rather impressive dress, fashioned to look like the most boring, but industrious of the Angry Birds. The stunt achieved worldwide media attention, covered by Techcrunch, The Telegraph, Kotaku and many more, proving that imaginative (not necessarily expensive) efforts that tie into your brand’s ethos – in this case, Angry Birds is a brand that is fun and moving at the rate of knots into merchandising – are brilliant ways to get your brand in front of your target market.